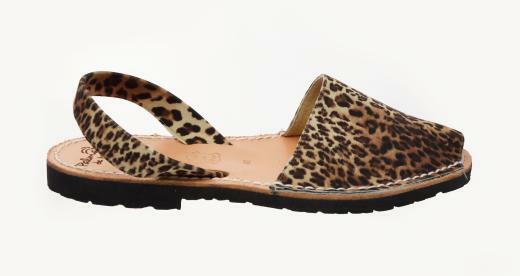 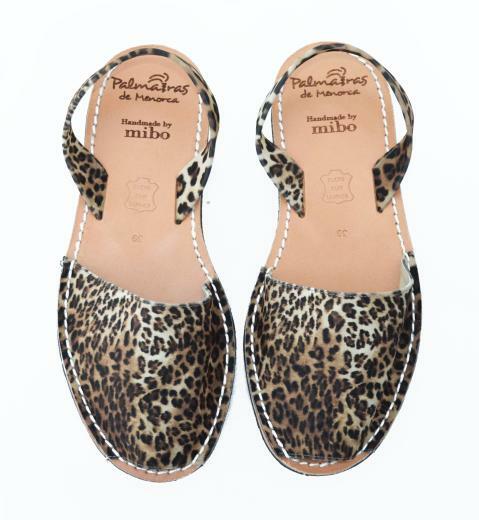 Palmairas de Menorca Traditional Menorcan Abarcas (AKA Avarcas or Menorquinas) Sandals with a fashionable twist in Leopard Print Leather finish. 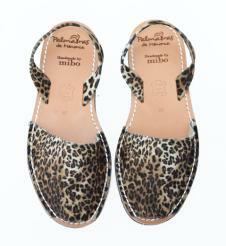 These are certified Menorcan ethical, handmade by village workers thus supporting true artisans and preserving a long and noble tradition. 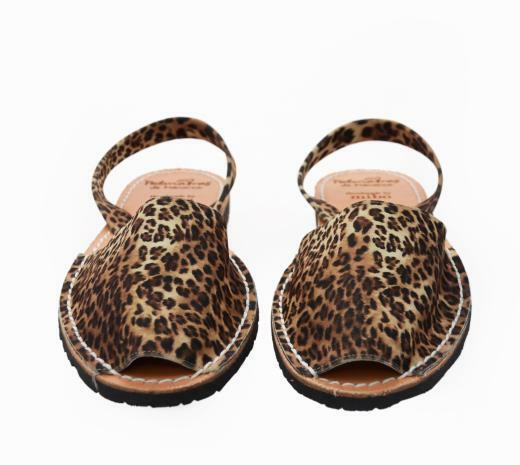 Many immitations exist but none can compare to the true quality and origins of this comfortable, practical and stylish sandal.